The applicant has the burden of proof and must establish that race, religion, nationality, membership in a particular social group, or political opinion was or will be at least one central reason for the persecution. The applicant must also establish that the persecution is conducted by the government, or that the government is unable or unwilling to prevent the persecution. The applicant must also establish that he or she cannot avoid persecution by relocating somewhere else within the home country. An applicant can seek asylum at the border while attempting to enter the United States, within two years after entering the United States, or while in deportation proceedings within the two year time frame. Matter of A-B- is restricted to analyzing the “particular social group” definition within the Asylum umbrella of law. “Particular Social Group” is not defined by statute, but has been interpreted through many Board of Immigration Appeals and Circuit Court decisions. membership in this group is the central reason for the persecution. What does Matter of A-B- say? 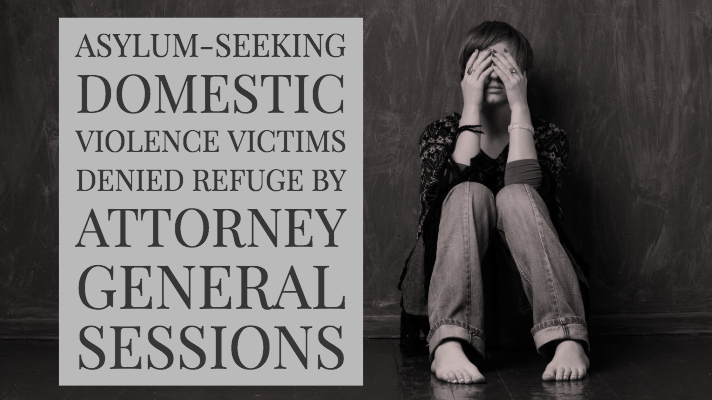 The Attorney General decided that victims of domestic violence cannot obtain asylum based on being a “particular social group.” The Attorney General reasoned that the persecutor did not persecute the victim based on membership in the group (i.e. El Salvadoran women who are unable to leave their domestic relationships when they have children in common), but rather abused the victim for personal reasons. 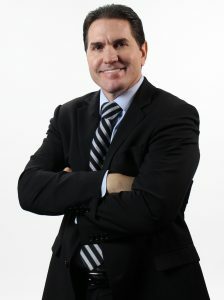 The Attorney General also determined that the applicant failed to prove that El Salvadoran governmental authorities were unwilling or unable to protect the victim. Despite the fact that the government conceded all of these points before the Immigration Judge, the Attorney General chastised the Board of Immigration Appeals for accepting these concessions. How does this affect asylum cases going forward? The Attorney General has issued a wide sweeping decision that will affect countless domestic violence asylum claims in the future. Domestic violence survivors seeking refuge on the shores of the United States will no longer receive an outstretched welcoming hand and a warm blanket, but rather the sole of the governmental shoe pushing the victim back to sea and toward the abuser. Immigration judges and other immigration officials have been given specific instructions in this decision to deny asylum applications that are based on the victim’s status as a domestic violence victim, despite the BIA’s decision in Matter of A-R-C-G, which has now been overruled. The Attorney General also offered guidance to immigration officials on how to otherwise deny asylum applications indicating the administrations efforts to dramatically reduce the amount of people that are granted asylum. Sadly, this, of course, will result in many helpless people who are fleeing from persecution being sent back to face their fate without the historical, magnanimous protection of the United States to serve as their last hope.